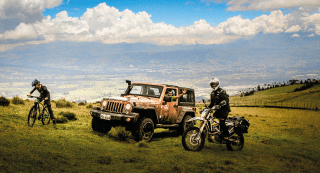 Ecuador Freedom Bike Rental gets adventure seekers like you off the beaten track and deep into to the country’s dramatic and varied scenery and its beautiful places. Since 2009, we’ve helped travelers of all price points live their dreams. 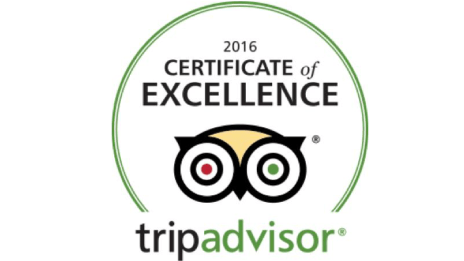 Thousands of clients have trusted us for our award-winning customer service, authentic tours and knowledgeable and friendly staff. 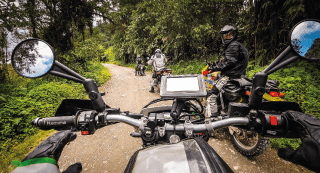 Choose from mountain bike, dual-sport / adventure motorcycle rental and 4x4 rentals, self-guided adventures, all-inclusive guided motorcycle adventure tours or create your own getaway and Ecuador Freedom will help make it happen. 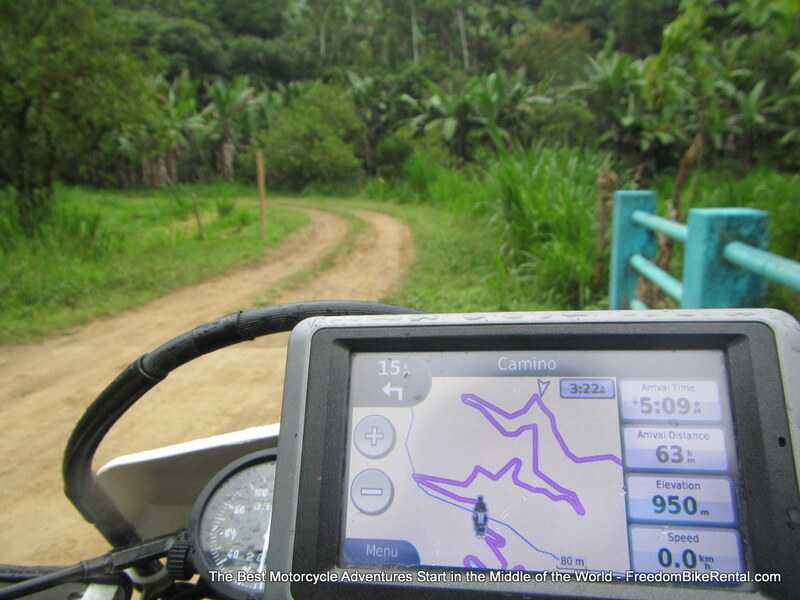 Rent motorcycles, mountain bikes and 4x4's to explore on your own. 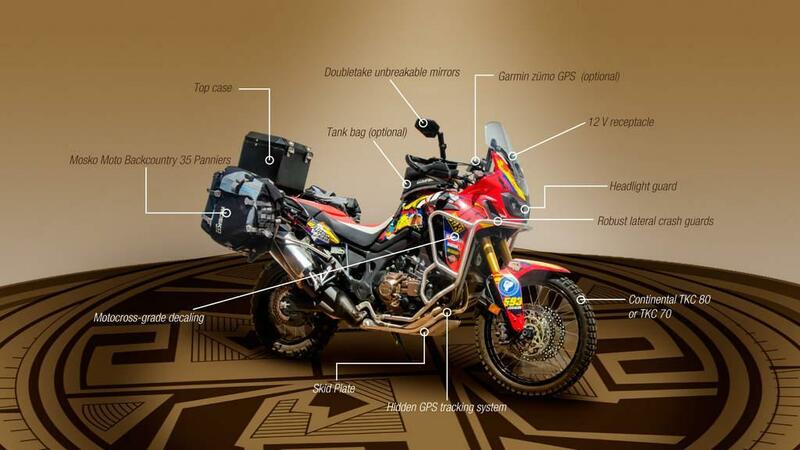 We have the largest selection of adventure-ready motorcycles in South America, outfitted with quality gear and maintained by an in-house staff of professional mechanics. 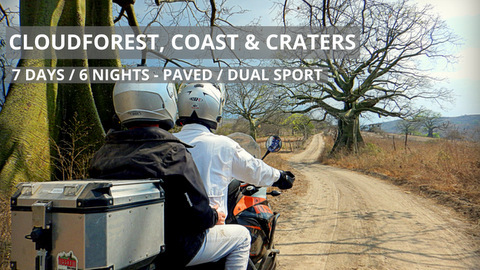 You'll get more than just a rental vehicle - you'll have the most experienced outfitter to help you plan the perfect trip. 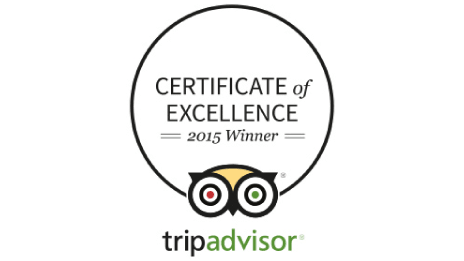 Channel your free spirit (and our local knowledge) on your own self-guided tour - alone or with a group of friends. 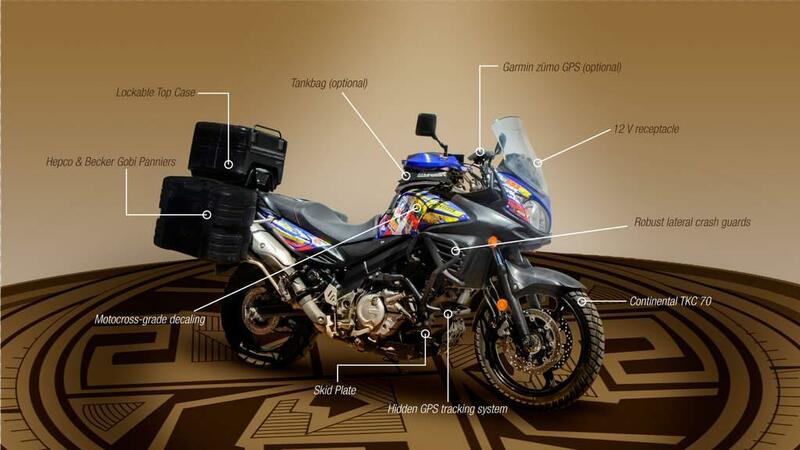 Our self-drive tours include an adventure motorcycle or 4X4 vehicle, motorcycle luggage, pre-programmed GPS, detailed road book with daily maps, prepaid lodging, select meals and a cell phone for 24-hour customer support. 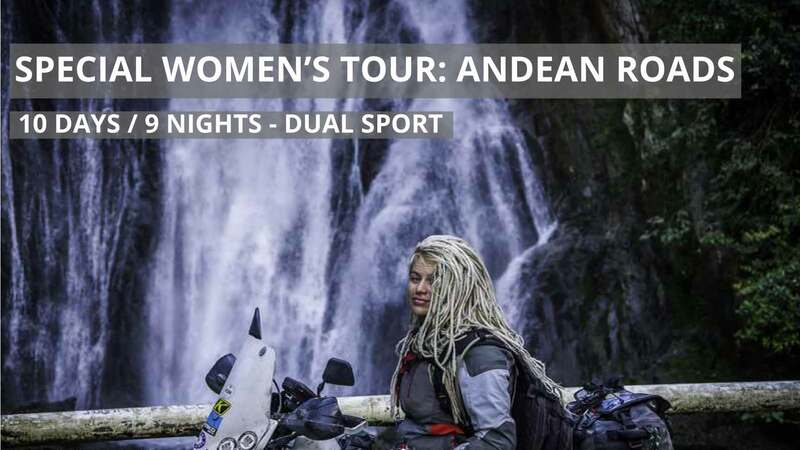 Our guided tours are designed so that you experience Ecuador on an intimate level through conversations with locals and by experiencing what life is like in this land of diverse topography and peoples. We move people away from the common and into the more remote and obscure areas of Ecuador, giving a glimpse into ways of life that have largely disappeared​ . 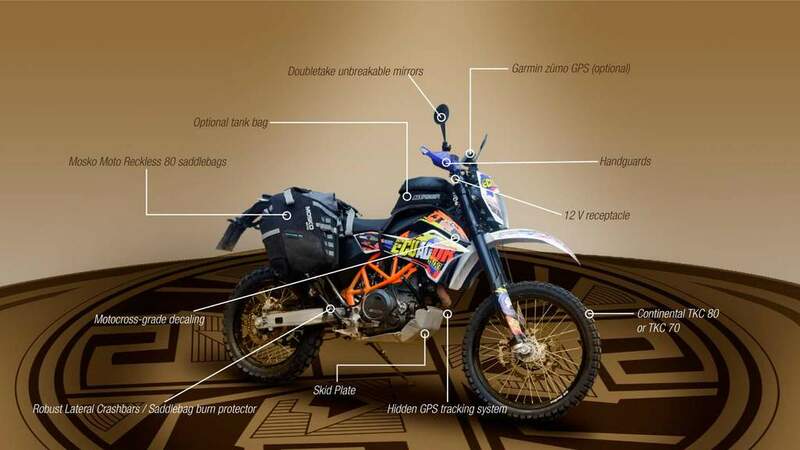 Ecuador Freedom offers South America's widest selection of dual-sport / adventure motorcycles, 4x4's and bicycles for rent at daily and weekly rates. 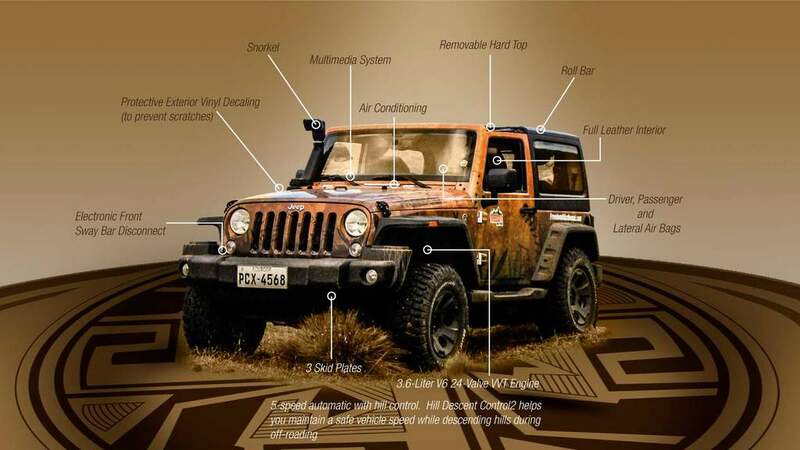 Our vehicles are purchased new and maintained that way by an in-house crew of professional mechanics using the highest North American and European standards. 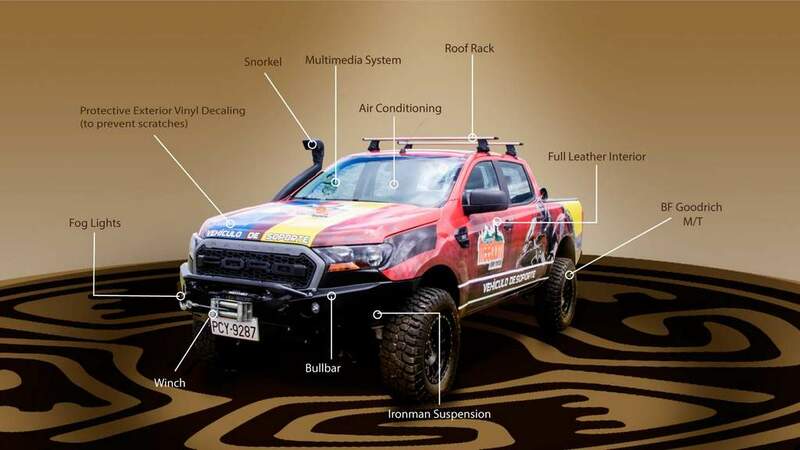 All vehicles are equipped with high-quality accessories from the world's leading manufacturers to make them safe and ready for everything Ecuador has to offer. 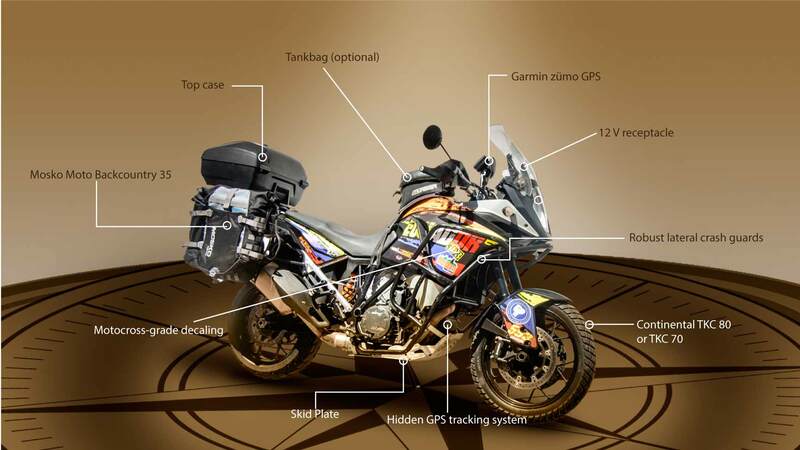 We design motorcycling itineraries that go well beyond surface-level experiences, for people who want to genuinely immerse themselves in the world around them. 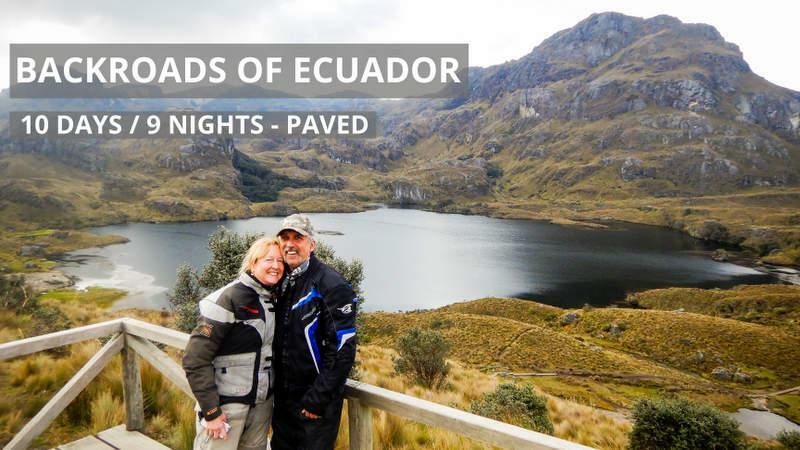 Our customers experience Ecuador on an intimate level through conversations with locals and by experiencing what life is like in this land of diverse topography and peoples. We move people away from the common and into the more remote and obscure areas of Ecuador, giving a glimpse into ways of life that have largely disappeared. 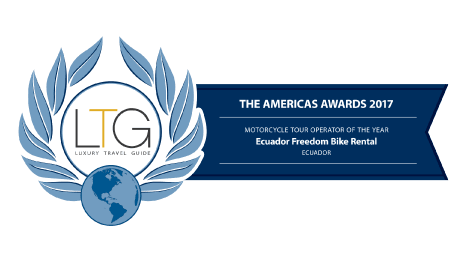 Luxury Travel Guide Names Ecuador Freedom Bike Rental as “Motorcycle Tour Operator of the Year"
"We booked this Guided tour many months ago and looked forward to our arrival in Quito to see the folks at Ecuador Freedom! 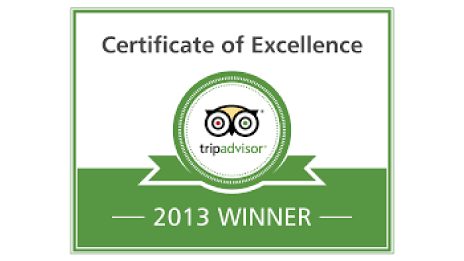 I have read so many 5-Star reviews for this place and truly thought that it had to be too good to be true! Not so!! 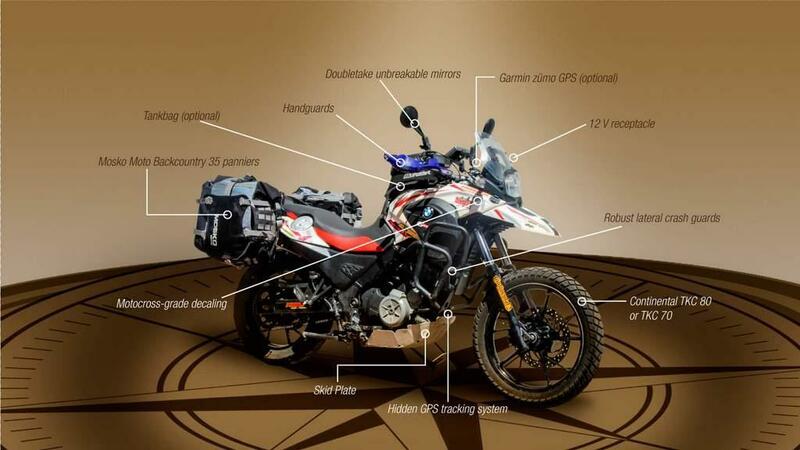 All of the reviews and comments about how great the service is, how detailed the trips are planned, bike maintenance, etc are spot on. This was a once in a lifetime trip and we were not disappointed at all! 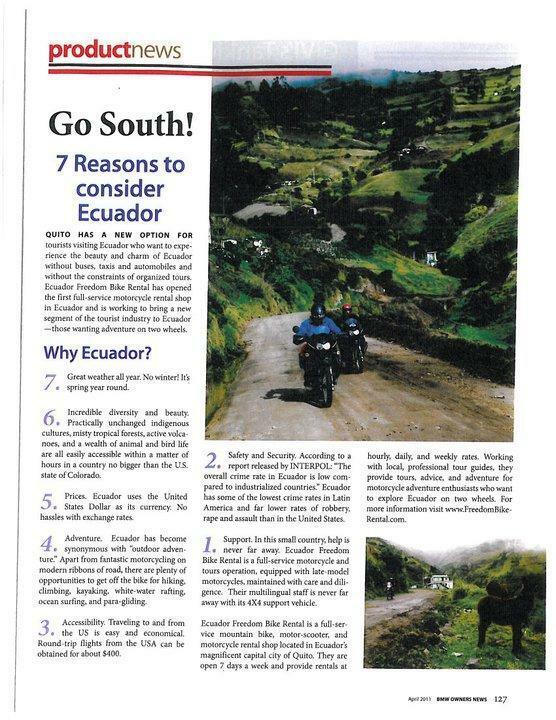 We took this tour from June 29-July 8th and we were able to experience so many different aspects of Ecuador. One of the things that really sticks out is just how knowledgeable these guys are about the country. 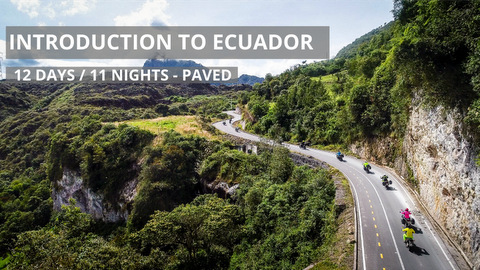 It is not just the roads and the places that they take you to visit, it is more about the depth of knowledge that they have about the history of Ecuador and the villages/people that we encountered. Not a question went unanswered and they always offered much more detail to explanations to our questions. 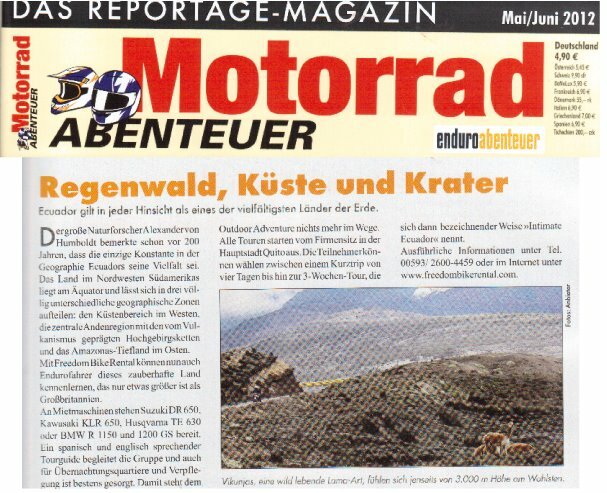 That being said, the miles produced a lifetime of smiles as the scenery and area is breathtaking. All items that are mentioned in the ads for the tours are exactly what you get. 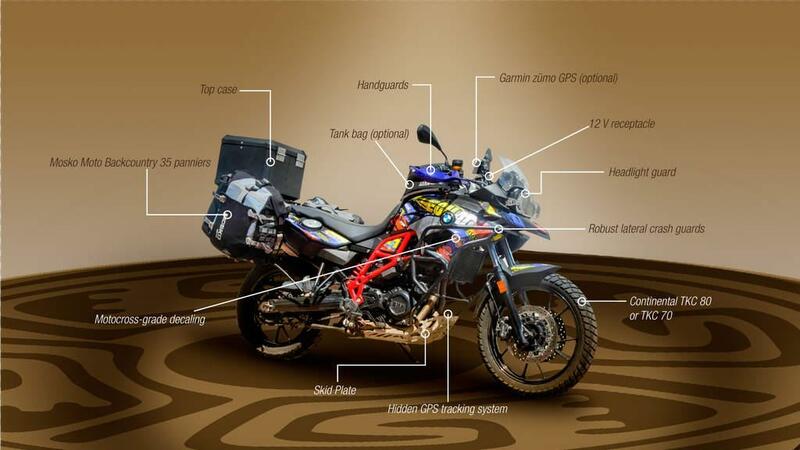 All-Inclusive (except for alcohol/souvenirs) and that goes down to the fuel, bike, support vehicle, etc. Nothing is left undone and no detail has been missed. 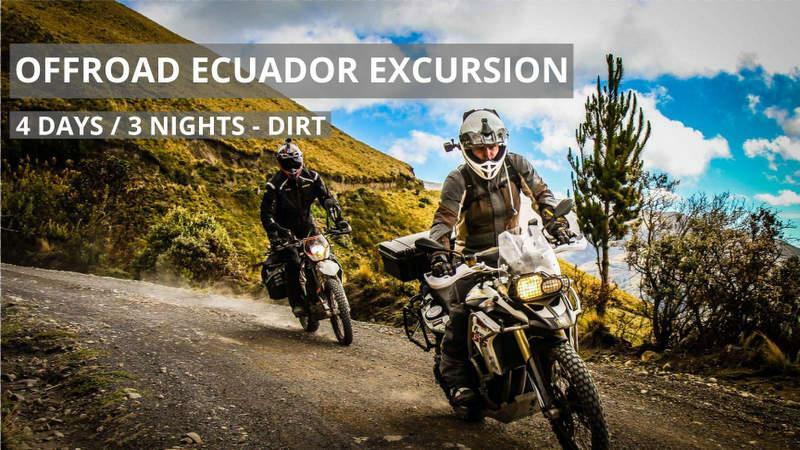 If you are into Adventure Riding of any kind and are at all on the fence about either going to Ecuador or using Ecuador Freedom.......get off the fence! Do it and get it booked right now. You will NOT be disappointed in any way!" 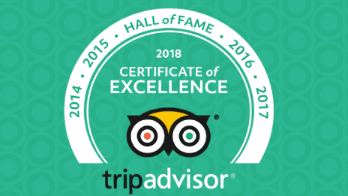 Our customers are extremely satisfied: We have been awarded a 5-star rating and the coveted "Certificate of Excellence" by TripAdvisor.com for being in their top 10% of best performing businesses, worldwide five years in a row! 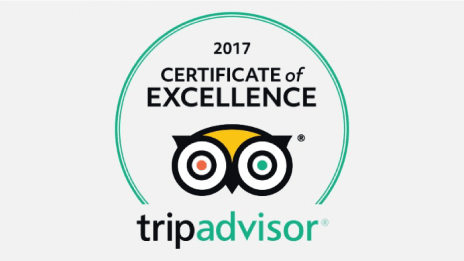 This has earned us the coveted "Certificate of Excellence - Hall of Fame Award" that very few tour operators in the world have achieved. 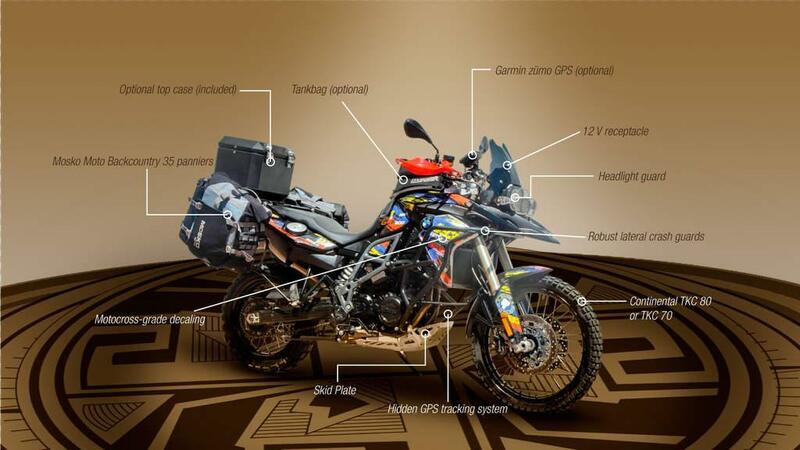 The Luxury Travel Guide Awards recognize and celebrate excellence across all sectors of the affluent travel and tourism industry in Europe, The Americas, Asia, Australasia, Africa and the Middle East. To help readers cut through all the clutter and to find the best hotels, restaurants and tour offerings around the world, the awards program selects winners based on their achievements and strengths in the travel industry. 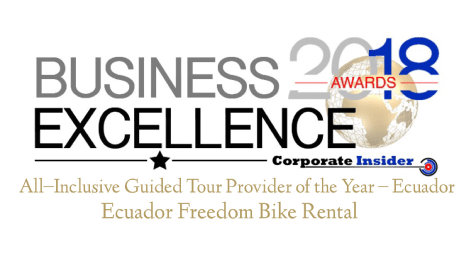 Ecuador Freedom Bike Rental was selected after passing through a rigorous assessment carried out by experienced in-house professionals, as well as a number of celebrity guest judges. 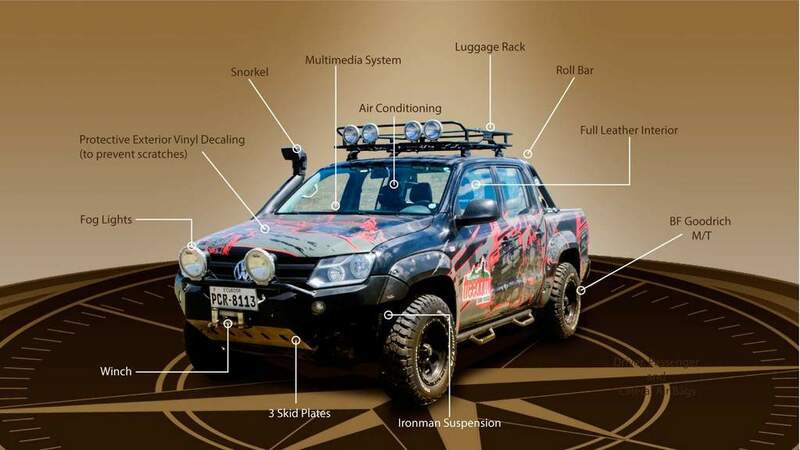 We were looking to go on a bit of an adventure for our honeymoon, but also wanted a little bit of luxury along the way. 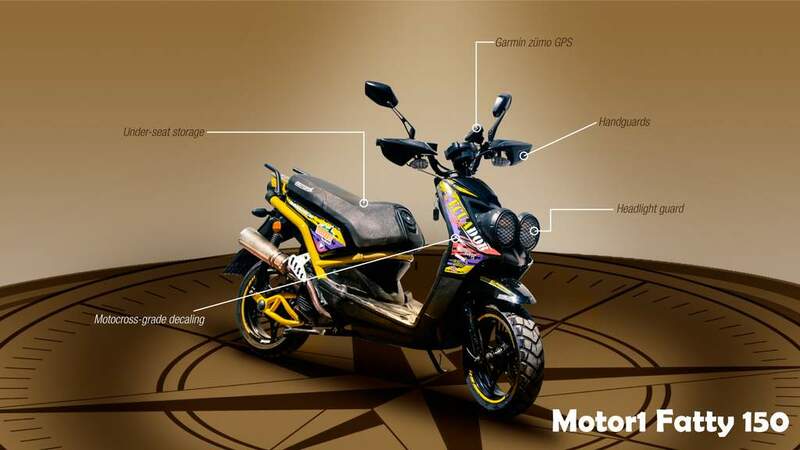 Freedom bike provides exactly that. 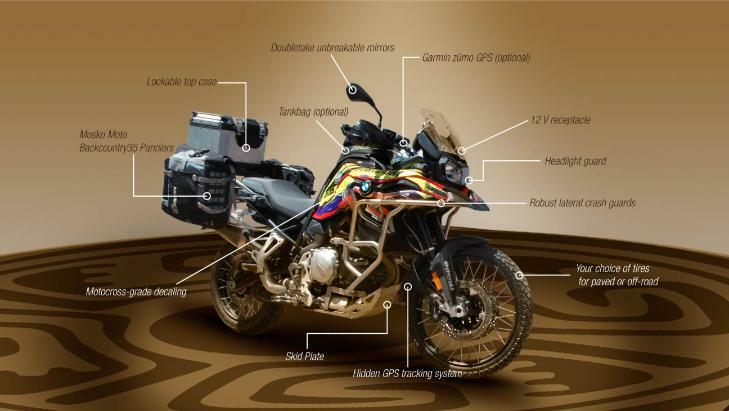 We did 1000 miles in total across some of the most incredible and at times challenging terrain. 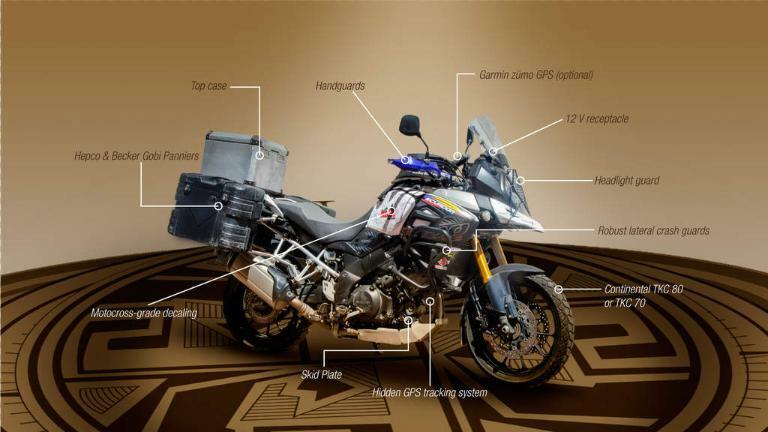 Freedom Bike provided us with a BMW F800GS which never missed a beat on the entire trip. The locations and hotels were fantastic, to the point that it is impossible to pick our favourite point in the whole journey. 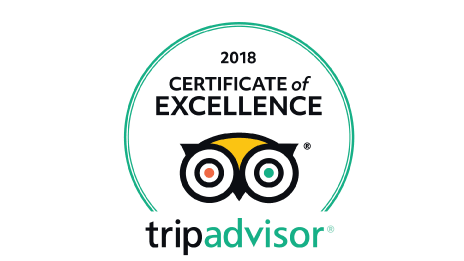 Lagoons, waterfalls, ziplines, cloud forests, beaches, jungle trekking, canoeing and even floating down a river in the Amazon on a rubber ring; you'll struggle to find anything better than this. My wife is a vegetarian and she never once had any issues finding a good meal on the whole trip. Food for both of us was top notch. Our lowest point was knowing it had to end! 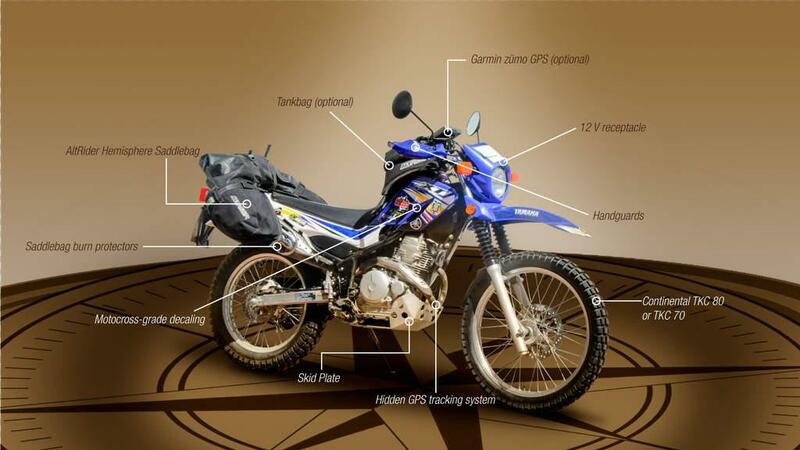 We almost had tears in our eyes when we had to hand 'Archer' (we named the bike) back. 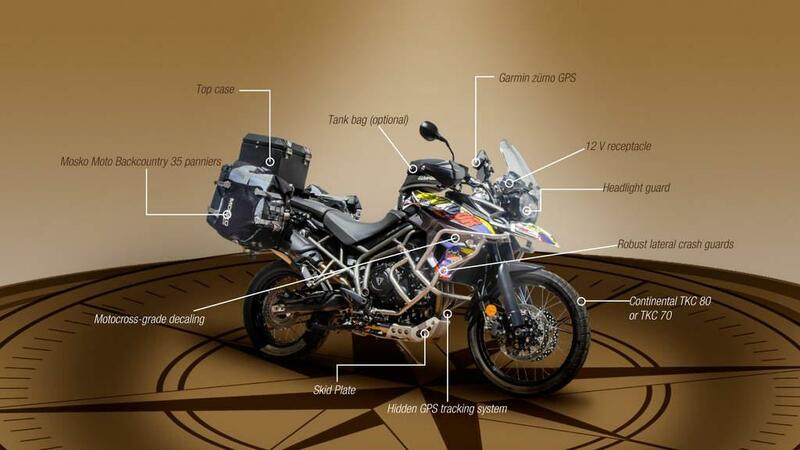 If you want an exciting honeymoon, or holiday in general, this is exactly what you should be doing. 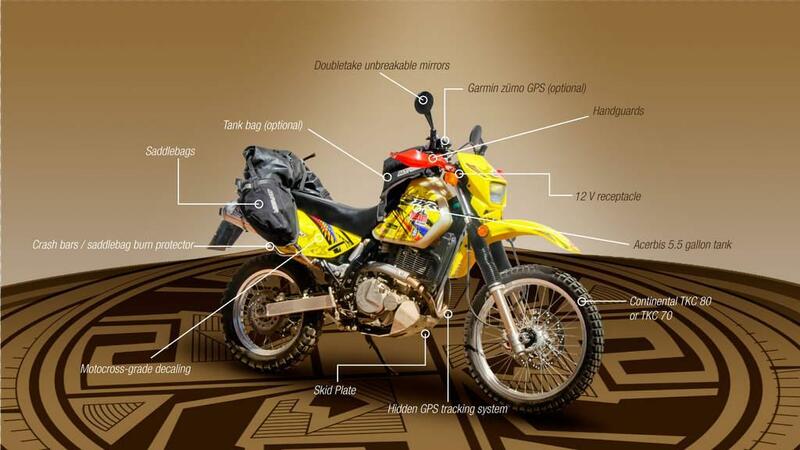 The whole team at Freedom Bike are incredible. So welcoming and friendly. Constantine makes a killer G&T too. Exactly what we wanted on return! Top tip: if you can get down to the shop the day before to complete all the paperwork and attend the briefing it makes your start day a bit more relaxed. I am not gonna dwell on the tour we did instead I shall talk about the experience I had with the company. The reason is because this is such a professional outfit I cant believe your customer satisfaction will be any different than mine regardless of the tour. The owners name is Court and although I had limited experience with him I can tell you one thing for sure, he knows the right people to hire. Andy our tour guide was not only a great rider, but a great guy. He made me feel not only welcome but as though I had made a new friend almost immediately. He seemed to have a sense that allowed him to choose a pace that was fast enough for faster riders, but worked for the slower ones as well. Bravo Andy this is a tough trick to pull off and you did it with seeming ease. As an aside his grasp of customer service was so superb It seemed hard to believe he was not born to perform it. We had a group of five so a chase truck was included. The guys in the truck were Raphael and Dave. Raphael was the support guy and once again the qualities he showed were the ability to make strangers friends in an instant excellent customer service skills and compassion for the riders when they were inevitably tired, hot, cold etc. Dave was the video guy and when he wasn’t taking outstanding pictures and videos was (you guessed it) the most helpful friendly guy you can imagine. Can you see a theme here? 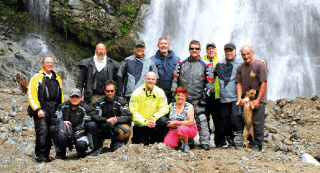 Ecuador freedom gave me and my group a terrific ride. That I am sure was the easy part. This difficult part was to make us feel as though we we were the only reason the company existed. The sad part was not that the ride was over, but that I was leaving a group of friends behind. I would like to tell you this was the ride of a lifetime, and it was. 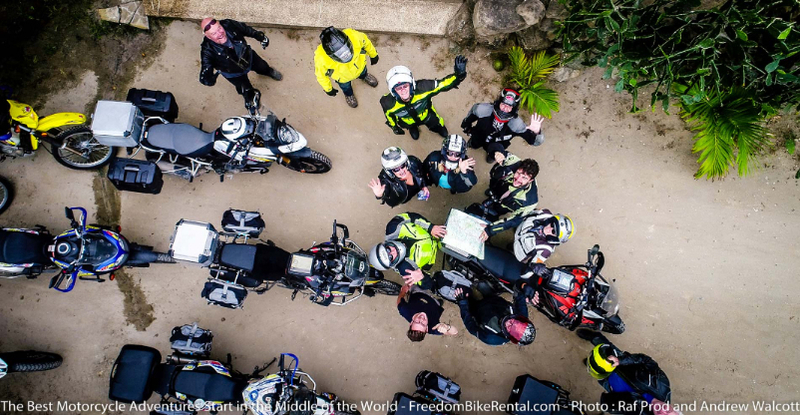 But I am sure I will be back not only for another amazing ride, but to revisit the friends I left behind in Ecuador. 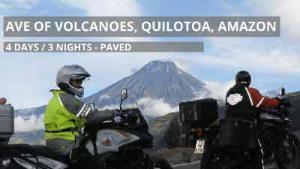 I was traveling solo in Quito and got the urge to rent a bike and do a bit of riding in the mountains around Quito . Ran some research on the net and made my way to EFBR. I could not have made a better choice. These guys are super professional and friendly and really know what they are doing. The setup is fab and fully equipped. 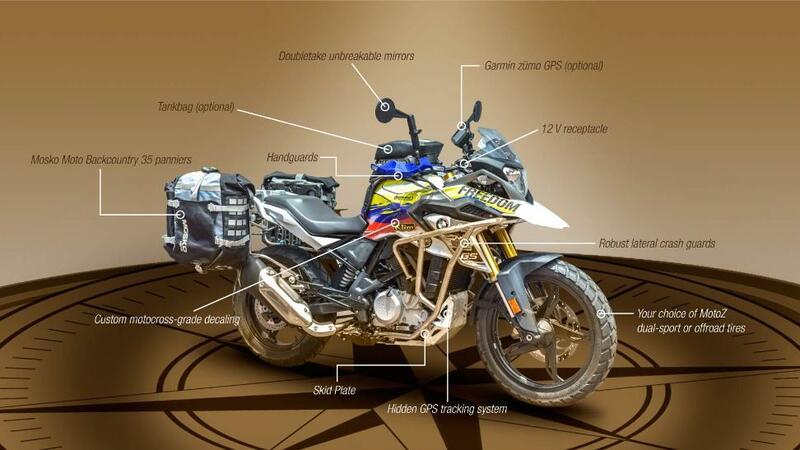 I did a 2 day rental without the tour and they went above and beyond in service even mapping out a few routes on the GPS ( which was not supposed to be included ), and guided me on some great roads to ride. I had a great time , the machine was in great condition and ran faultlessly in all weather conditions and I had an amazing 2 days thanks to these guys. I hope to be able to return with some friends some days and do a longer tour. 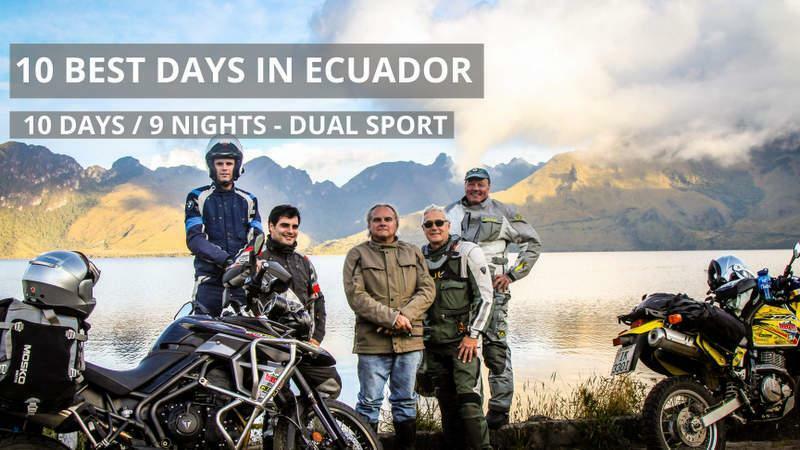 Four military guys from North Dakota made the decision to fly to Ecuador and rent bikes on a guided tour from Ecuador Freedom Bike Rental in Quito. 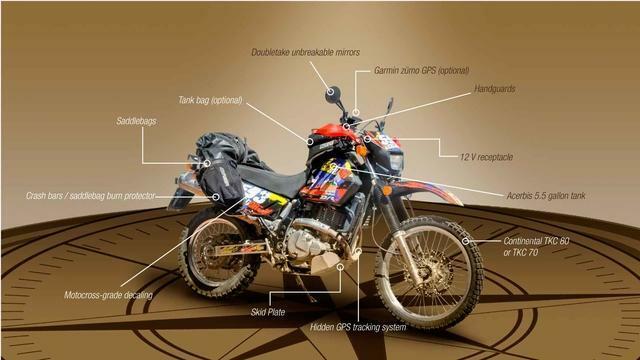 This was the best decision we made when it comes to riding in South America. 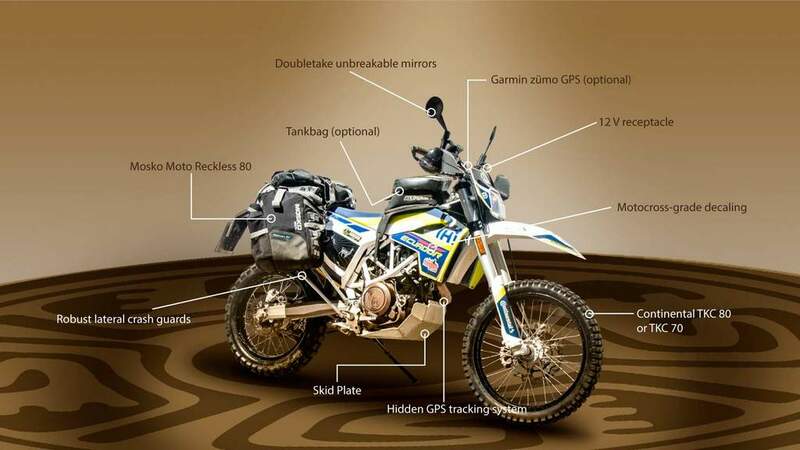 The bikes were awesome and were inspected every morning. Raphael and Andy were our guides and they absolutely know the country and the unique places to eat and stay. "Pack For A Purpose" was amazing as we brought school supplies and musical recorders along to distribute to Ecuador elementary schools. Our hearts were blessed to see the schools and how we were helping the children. 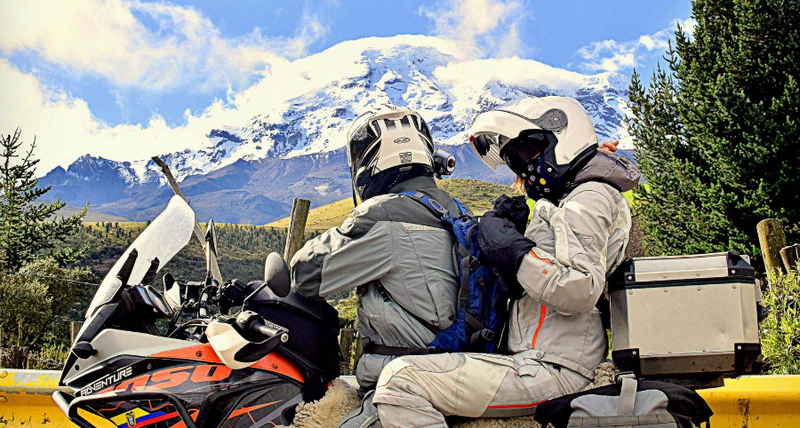 If you are looking at your first motorcycle destination ride, then seriously explore Ecuador Freedom Bike Rental. You will not go wrong. 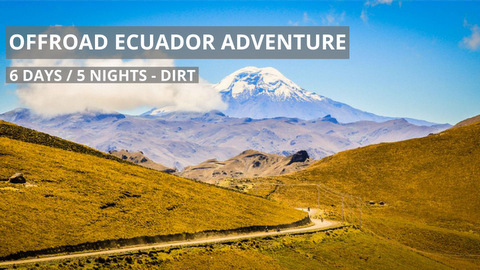 What is it you want to do or see in Ecuador ? 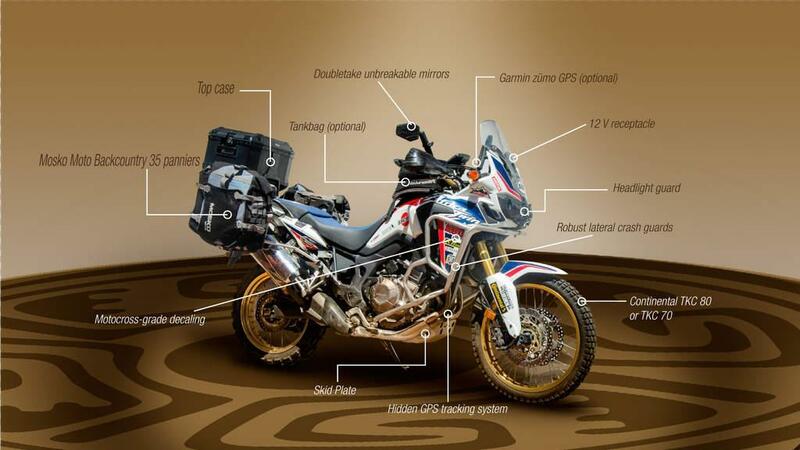 How do you like your motorcycle to handle ? Just ask ! 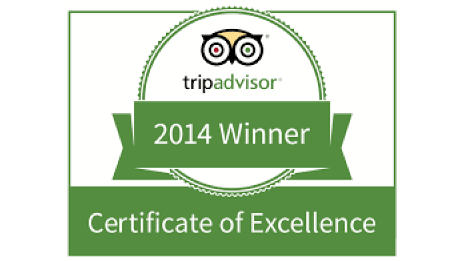 This team of passionate people will do everything to help you out and make your trip memorable. 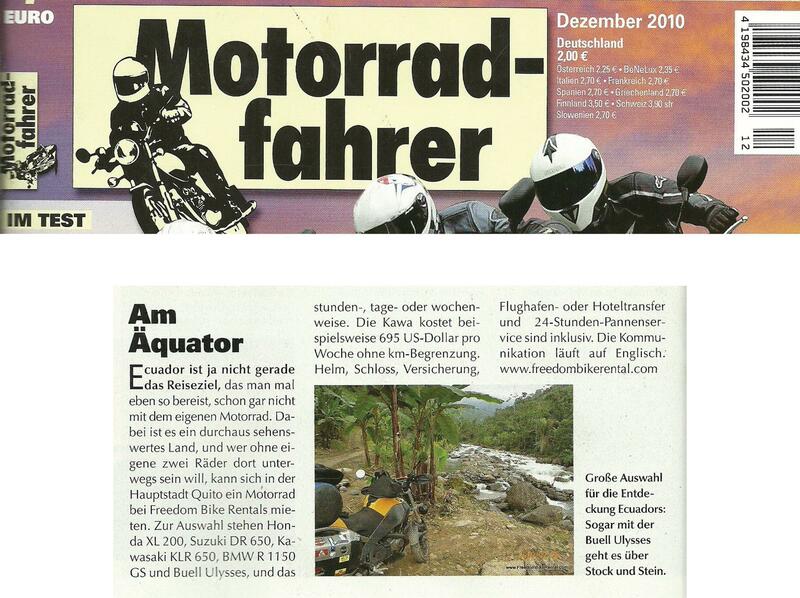 In fact, they are so good, we just had our third trip with them, all in less then 18 months. We were so well pampered that we immediately felt in love with Ecuador and we are still planning to go back soon. Please note that my "budget friendly" appreciation refers to the fact that there is no surprises or admin fees. 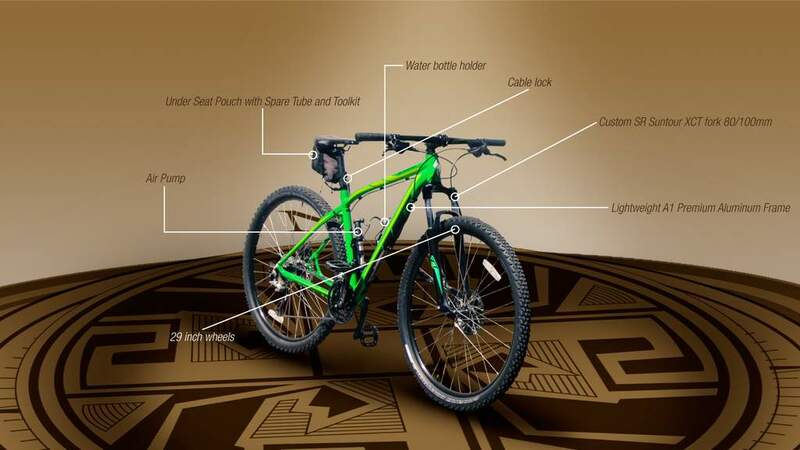 The advertised price is what you pay and almost everything is included (bikes, hotels, most meals). So when you plan, you can stick to that plan as prices in Ecuador are relatively on the low side.